Our upstairs back bar is available for private events on certain nights of the week, depending on guest count and availability. Situated at the site of what was once an infamous organized-crime watering hole, The Kerryman offers a taste of Ireland in an upscale but casual atmosphere. This historic River North favorite features a sprawling multi-level layout with several different dining sections and bar areas, a mezzanine balcony and a V.I.P stage. The Kerryman offers brunch, lunch and dinner menus that feature authentic Irish fare with a modern twist created by head chef Damo Moloney. Homemade desserts and a variety of hot spiked drinks help round out the selection. The Kerryman also offers an extended happy hour on select weekdays with rotating appetizer and drink specials. Party packages with customizable food and beverage menus make this fun spot ideal for birthday celebrations, work functions and charity events. 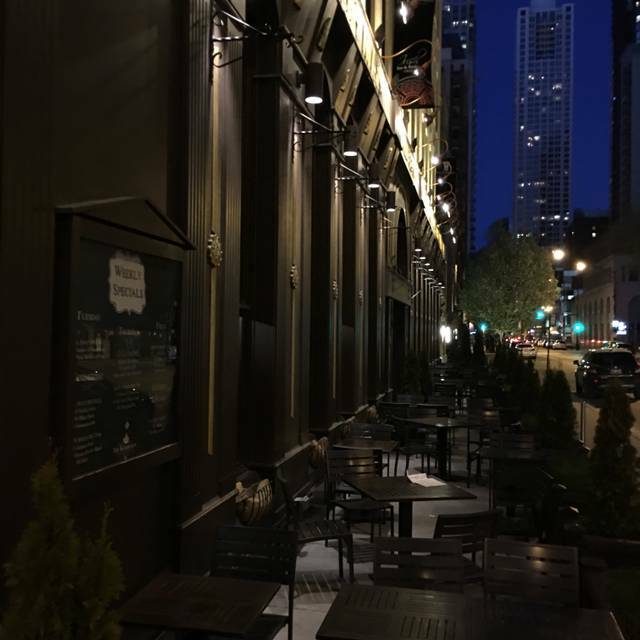 The outdoor patio is one of Chicago's most scenic and offers private seating with views of The Kerryman's vibrant flower gardens. The food was superb and the service was excellent. We’ll definitely go back! The had our reservations held as a Reserved table on St. Patrick's Day morning. Food was good. Enjoyed the Irish Breakfast: Irish sausage, Irish bacon, black (not a fan of blood sausage 😩) and white pudding. As well as corned beef and hash. Love this place on every level! Best place to have St. Patricks Day Celebration! The experience was fine. I feel like it’s more of a bar to grab a drink and maybe have an appetizer than a restaurant to eat dinner at. The service was good, everyone was friendly but they didn’t do anything special for my boyfriend’s birthday and I ordered a steak medium well and it was definitely medium. I’d go back but just for a beer because I liked the environment. We enjoyed our dinner... the menu is great, the service is the best, and we loved the mix of Irish traditional and pop. It is loud and difficult to converse. If you dine upstairs, it's a little quieter. Turkey club is delish but turkey is served cold. Had it with seasonal vegetables and they were great. Service is basic. Wonderful BRUNCH for New Years Day! I will definitely be coming back, the service, food and atmosphere were great! Came here for a date with my wife. Place was lovely and so was the service. Service was fantastic, ND game...not so much. Salads are wonderful and service always very personable. It can get a bit loud but always a "fun loud". Remains a "go to" for us. We always have a blast at The Kerryman! The staff takes such good care of us and the drinks/food is wonderful! A mixed bag at The Kerryman. My better half ordered their signature Fish and Chips; a generous portion with a flaky, panko-like breading and just a hint of sweetness. 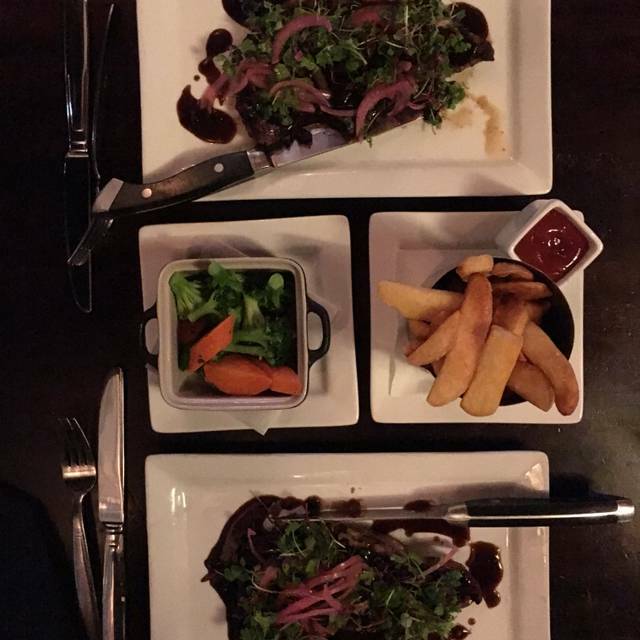 I choose the Steak and Chips; a New York Strip which was both tender AND cooked to order; an unexpected surprise. This, topped with an herb salad and pickled red onions was a great pairing. Star of the show on this dish, was the peppercorn red wine demi-glace. No birthday would be complete without dessert; we chose a Maple Bourbon Apple Bread Pudding that was wonderfully light. Paired with chantilly custard, brown sugar caramel, and a vanilla bean gelato, it was decadent, without being leaden. We were disappointed by the poor selection of Irish beers and ales available - no self-styled Irish bar DOESN'T serve Kilkenny. All in all, average food in a nice setting, with a friendly wait staff, and management that checks, but doesn't hover. A heads-up - the amount of salt added to both dishes was excessive; fries were briny, food, almost the same. This needs to be addressed. Awesome atmosphere. Great food. Great alcohol! Very good food, great atmosphere, very good service. My wife and I went for dinner and the staff was extremely helpful. Thought it would be better. Limited menu , slow service and food not that hot. Ok for bar atmosphere I guess. Excellent food, drinks and service. Wonderful evening. Had a business dinner here. Booked on open table and they put us upstairs in a more private area so we could hear better one another, very considerate. Food was pretty good. Service gaps here and there but they were all super nice. I’d come back. Great food both fish & chips and Shepherds pie. Great friendly service! While visiting Chicago for the first time over a long weekend, we passed the Kerryman on a bus tour. We had already tried Chicago pizza, hot dogs and steak and were looking for something different for our final dinner in town. The Kerryman was perfect! The service, outside seating/view, authentic atmosphere and the food and drinks were wonderful! We shared a soft pretzel with beer cheese and BACON and then enjoyed the best fish and chips I've ever had and a cheddar burger. Thank you for ending our trip on a delicious note! Very good food and service! They dealt with our food allergies excellently! Great menu and service were apparent when we dined. Our server was attentive and the food was delicious. We had a blast! Great place! 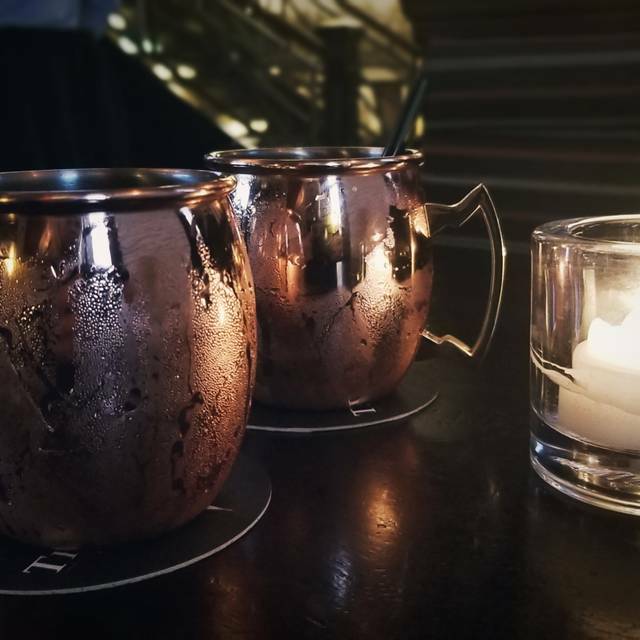 The Moscow mules are the best here! This pub is my all time favorite place in Chicago ! One of our favorite places to stop for a pint of Guinness or dinner with the family. We are Irish and recognize a good pint! The Irish breakfast, fish and chips and steak and Guinness pie are delicious, as are the sausage rolls. My daughter gets the macaroni cheese with Gouda and loves it. Staff are great. Wedding/reunion of HS friends, we had a great time, great food and great service. I would definitely recommend The Kerryman as a destination to visit! Fun atmosphere to watch March Madness. Good food and attentive service. Great drinks, food and service! We got into The Kerryman the day before St. Patrick's Day to sample some of the Irish menu and drinks. The mood was festive and the food excellent. We had the Guinness Beef Stew, and the Shepherd's Pie. Both were delicious. Service was friendly and efficient. Very Accommodating. We enjoyed one of the best St. Patrick's day ever! Very pleasant to deal with. We had a large group from out of town meet up. Nick the manager was very pleasant and willing to put tables together to accommodate our large group. Met a friend for lunch. Service was adequate, served by the bartender. Food is somewhat overpriced, I feel like you're just paying for the location. The staff also said they did not have access to the iPad with the OpenTable system to acknowledge the reservation, so I had to contact OT to get credit for eating there. first time there; was surprised it wasn’t more crowded on a Sat night. great chow; half pound burgers were done to perfection; friendly non pretentious service (which is unusual for River North). good value; great everyday Beer selection. Great service. Fine restaurant for fish and chips during Lent. Staff was great and accommodating - we had an excellent time. Food, service and staff were amazing. Best brunch ever!!! Considering the Kerryman is a ND bar, we went here for a big football game against USC. The TV's were tuned into the game and we had a great view while seated next to fellow ND fans. Food and service were great too! The Shepard’s Pie was great, the Pork Loin Special was inspired and so filling. (Super creative- parsnip/carrot purée, fingerling potatoes, pork belly & brussells sprouts, MMMM! Jameson Smash is a nice refreshing whiskey cocktail they do, and the staff was very helpful, friendly, and more than 2 other folks came round to see how we were doing/check drinks/take empties. <3 Will definitely return!